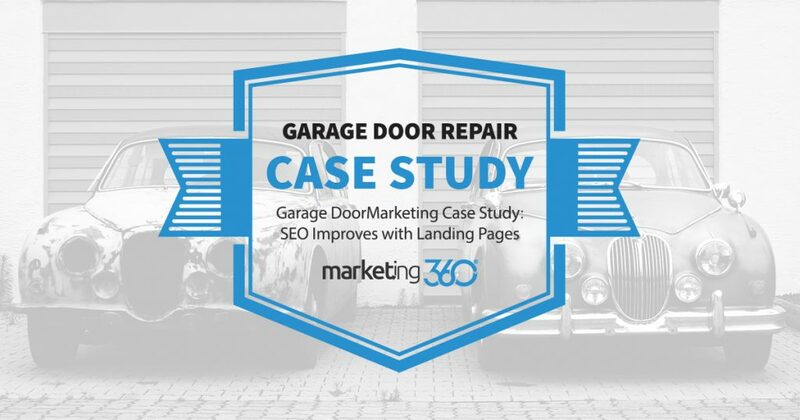 This case study shows how adding SEO landing pages for services has a positive impact on keyword rankings. At Marketing 360®, we call content pages used to drive SEO results monster pages. These pages are effective in two ways. First, they offer superior content that describes the product or service in full detail. These are informational pages meant to educate prospective clients. Second, they’re keyword rich pages meant to improve rankings. Here’s how it works. First, we create a monster page for the site that completely covers the topic, complete with images and high-level design elements. Of course it’s optimized for the target keyword. In this case, the target phrase is garage door repair Fort Collins (click through to view the page). Then, we give it time. Sometimes a few months does the trick, sometimes it takes longer. Gaining links and promoting the content on social media also helps with more competitive terms. In the two month comparison, both of these terms jumped from page two to page one in search results after publishing the monster page. The difference between page two and page one is the difference between night and day. You get little to no traffic/conversions from page two, but page one is gold.